I think that everything can be seen as hypothesis driven design. The real question is whether or not we write down the assumptions behind the design decisions we make and measure outcomes. Giving feedback or design critique is an essential part of the design process. How things feel is an important part of this process. In agile we talk a lot about user stories but we don’t spend enough time telling the stories of our users. 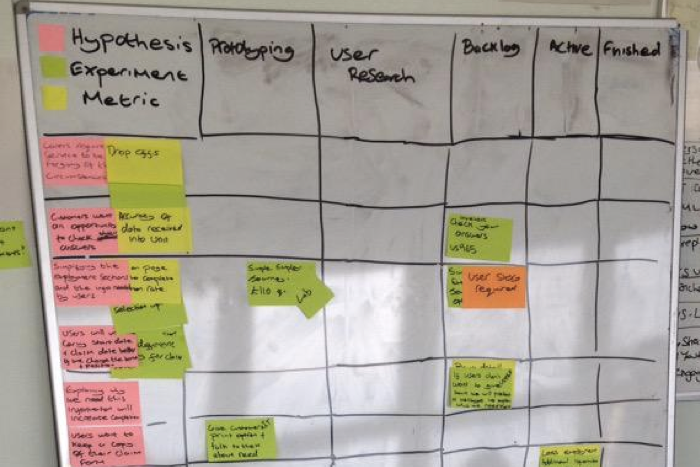 User stories are commonly known as the way we prioritise and deliver work in agile teams. Making incremental changes to prototypes isn’t iterative. A good measure of iterative is that you can prove you’ve thrown something away because user research showed it wasn’t working.